Contrary to what many people say, Tripoli and its souks are marvellous. 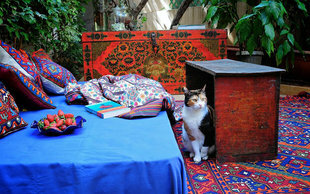 They allow visitors to step into a unique, busy and colourful universe and gain insight into centuries old traditions. Meandering through the souks with its lively passageways and small hidden alleys, plentiful smells and plethora of sounds and colours, is like stepping into a theatre filled with fantastic characters, props and stories. Starting from the Mansouri Mosque (women need to wear a scarf and no short or revealing clothes), Tripoli’s oldest mosque, it is possible to enter the souk from the inner mosque courtyard. The madrassa of Prince Shehabeddin Karatay, one of the largest and most beautiful Mameluk madrassas in Tripoli, built between 1316-1326, will be immediately on your right. It is one of a range of spectacular edifices around the old city with typical Mameluk features, such as the muqarnas, a form of architectural ornamented vaulting cut into stone and used for domes, and especially half-domes in entrances. Crusader influence can be seen in the portal in the Corinthian columns as well as the zigzag carvings in the arch above the stalactite half dome. 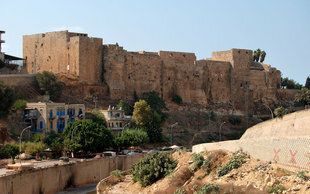 Tripoli was the third city after Aleppo and Damascus during the Mameluk period (14th century). 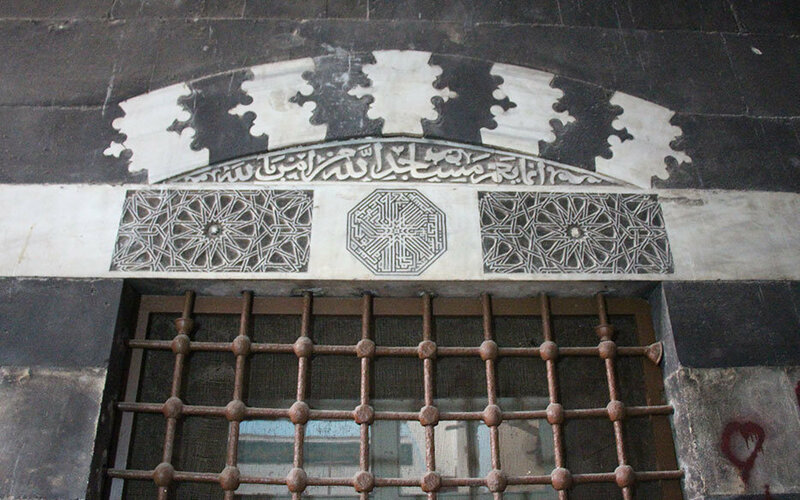 One of the signature traits of the Mamluk era are the black and white stone patterns around the entrances of mosques and madrassas. 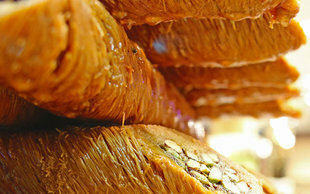 There are no signs in the souks to follow – so follow your senses – there is so much to discover…. Traders are usually welcoming but do ask for permission before taking pictures. 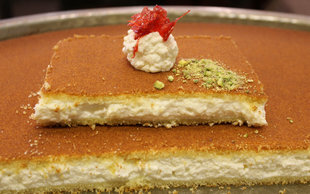 There are 9 souks in total in Tripoli: Attareen, Bazerkan, Haddadin, Haraj, Kameh, Koundarjiyeh, Nahhasin, Samak, Sayyaghin. Besides the food souk with plenty of fresh produce as well as meat, fish (Samak) and bread, there are the Tailors’ (Sayyaghin), Tanners’, Soap (Saboun), Coppersmiths’ and Goldsmiths’, Carpenter, Mattress makers’ and many more. The Perfumers’ Souk (“Souk Attareen”), where besides flower essences (not all are 100% natural), you can buy dried fruit and nuts, rose petals from Iran, okra dried on yarn, plenty of infusions and spices. Tripoli is known for its centuries old soap making industry, using extra virgin cold pressed olive oil from the groves of Koura and Akkar. 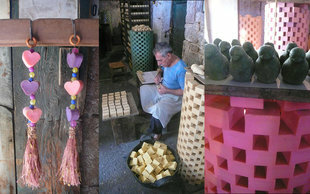 Until today, there are a few soap shops in the Khan al Saboun, where visitors can buy olive oil-based natural soap. 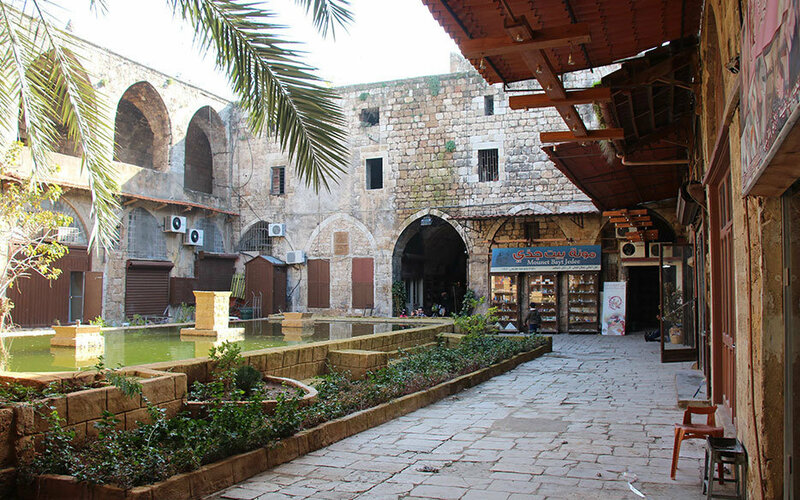 One of the key figures in soap making is Mohammad Sharkass who works in the Khan Sharkass, also known as the old Khan el Masriyyin (Egyptian caravansary) within close proximity to the Aattar mosque. 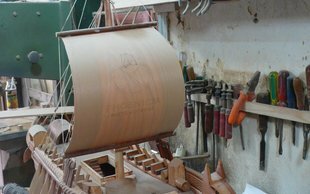 Sharkass learnt his trade from his father and keeps the family business that dates back to the 14th century alive. 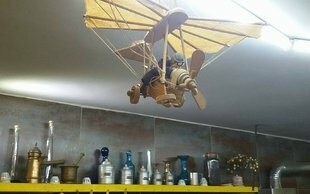 He works upstairs, surrounded by towers of drying soap, and boxes with all kinds of soaps for sale. Some come in squares, others are round, some are hand-carved and he even sells beautiful soap grapes and heart-shaped prayer beads. Until today, the souk is set up according to guilds or occupations. Traditionally, the “ Khayyateen” (tailors’) caravansary, near the Izzedeen Hammam, has been known for the exquisite craftsmanship of the tailors working there. Leading Lebanese and Arab artistic groups have their outfits made here. All over the souks are hammam (bath houses), most of them empty and in need of restoration but some, like Hammam Abed is still open to the (male) public. Do step inside and have a look. 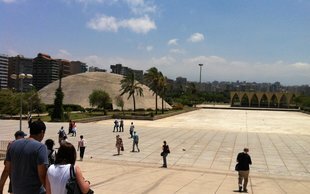 The largest hammam in Tripoli and indeed Lebanon is the Izzedeen Hammam, near the Abou Ali River, built more or less between 1295 and 1299. Latin lettering on the inner and outer portals indicate their Crusader origins. It has recently been restored and gives visitors an idea of how beautiful these spaces once were and how they were operated. 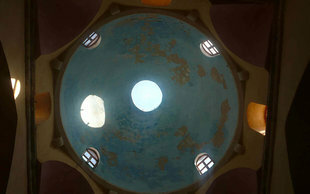 On the roof of each hammam are colourful glass formations, in white or blue, made out of hand blown glass. 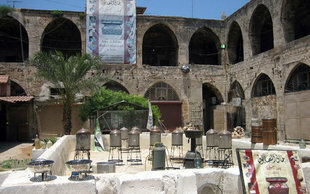 Not far away is the “Nahhaseen” (coppersmiths”) souk, where mostly decorative items are made. And if you’re lucky, you will discover the Alley of Secrets, situated below the Citadel. This area surrounding the Citadel is made up of fortified edifices given that it was used as a defence line. Back in the days, the Red Gate on top would be locked at night. 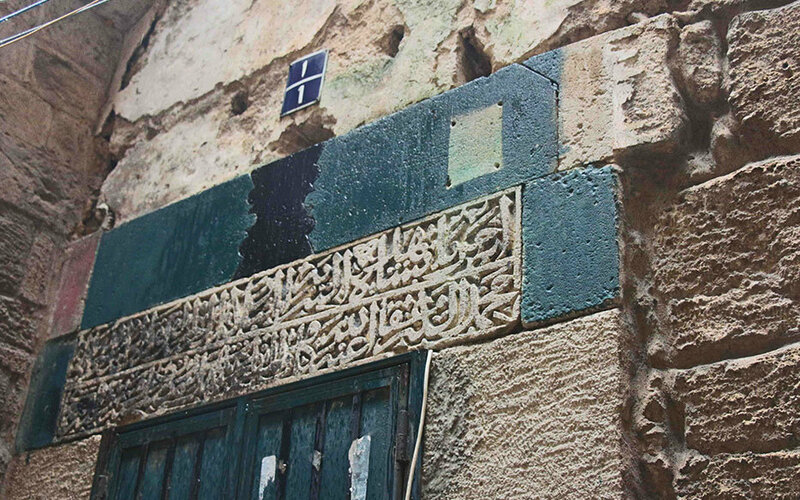 Further below, at the entrance of the Alley of Secrets is the Ottoman-era Rifa’i Madrassa, inside the Alley (on the right) is the Ajamiyah Madrassa with its splendid stone inscription, also dating back to the Mameluk period. As you walk on – you might need to sneak past a live soccer game young boys living in the area like to play here. Look up and pay attention to the mashrabiyah, wooden structures built around windows that allowed women to see visitors coming by but not be seen by the visitor below. Further into the Alley, doors become lower and lower – to make it harder for intruders to come in – and vaults cover the small passage and the shops at the other entrance entirely. From here, you can either walk back up to the road near the Citadel or turn left and head back into the kaleidoscopic universe of Tripoli’s souks. 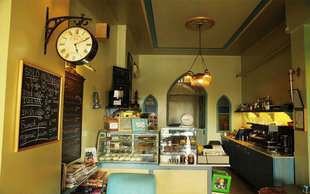 Open Every day of the week, best times mornings, best not to go at night.